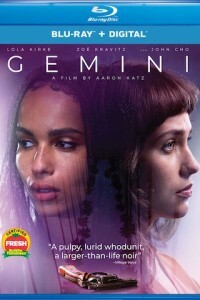 In the Gemini DVD, the life of Hollywood star Heather Anderson’s (Zoë Kravitz) assistant Jill LeBeau (Lola Kirke) is turned upside down after she arrives at Anderson’s house and witnesses a horrific crime scene and Anderson dead from a gunshot wound to the head. Now under suspicion, Jill must convince Detective Ahn of her innocence while trying to find those responsible for Anderson’s murder. In the process, Jill struggles with her own flaws and inner demons while attempting to discover the truth. In the movie The Oath, in a politically divided America, a man struggles to make it through the Thanksgiving holiday without destroying his family. .